The 15thOlympia International Film Festival for Children and Young People -with films that drew the admiration of thousands of spectators- and the 12th Camera Zizanio -with youth audiovisual creations that surprised everyone with the new generation’s imagination and expressiveness, were organized in an extremely fertile and creative ambiance. The surprisingly wish by the youngsters and the oldest to participate in the festival, had as result to continue the events for six more days, due to sold out during the main week of events (1-8 December), with more than 21,456 spectators! In the hallmarks of this year’s festival, we highlight the declaration of the minister of Culture to proceed with the institutionalization of the festival but also the unstoppable and moving wave of support from thousands of friends, who rushed to support it when it’s funding was threatened. 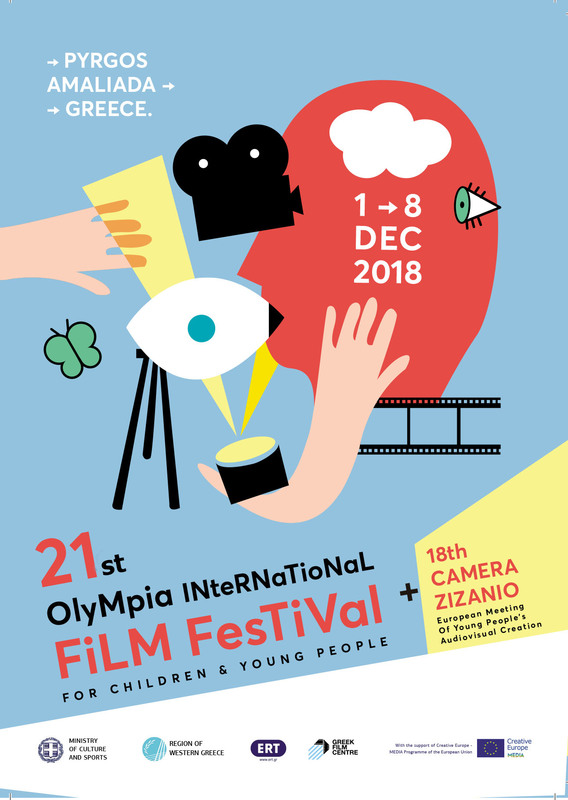 15th Olympia International Film Festival for Children and Young People and 12th Camera Zizanio in numbers. 1.200 spectators at the screenings of 351 films of 12th Camera Zizanio. 2.698 participants at the Side events ( Theatrical performance:My name is… Cloud, Photography Exhibion by ERT, authors at Schools, the Theatrical Play in Kindergarten Theatre in Classroom, Lullabies, Polyphonic song, screening of films produced during the film workshops, Write on our walls and Walls… differently).